Dancing in the Rain: My Second Published Knitting Pattern! 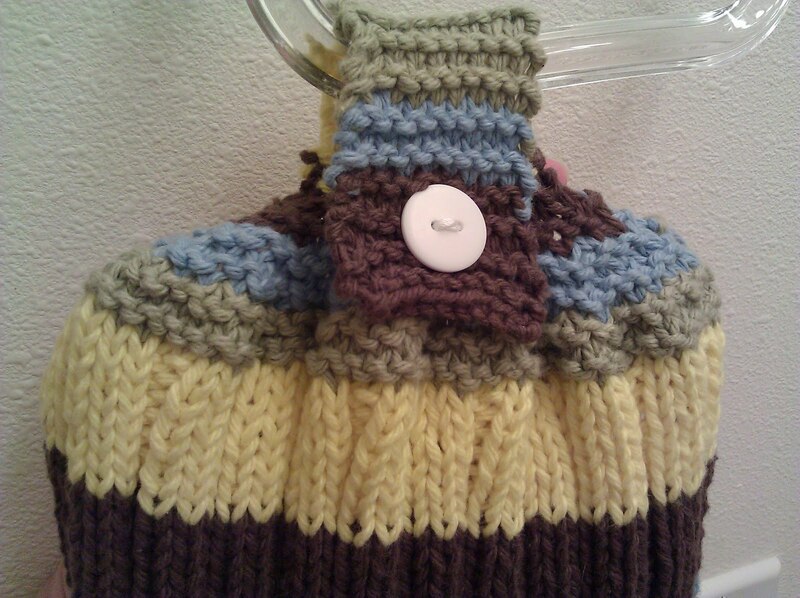 My Second Published Knitting Pattern! 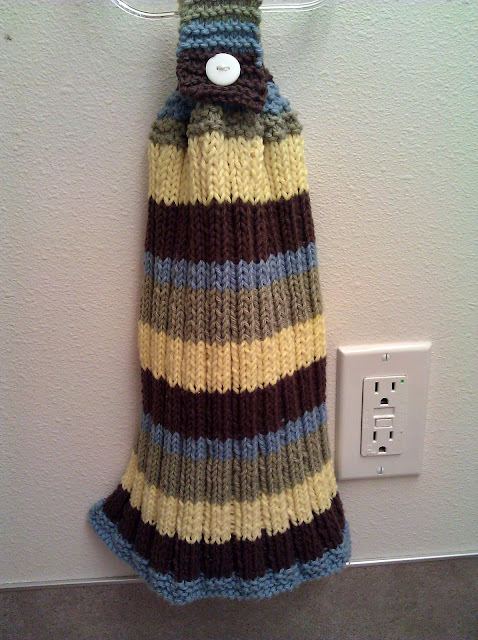 I designed a new Button-top Ribbed Hand Towel in monkey-color stripes for my Godson's monkey themed bathroom (his birthday is coming up). Not only does this one have 4 different colored stripes, but I tweeked the first ribbed hand towel pattern I tried again! Please feel free to let me know what you think...and Enjoy! Sharing with other crafters on 9/3/11. So sweet! I love the colours you used.